MyNursingLab should only be purchased when required by an instructor. 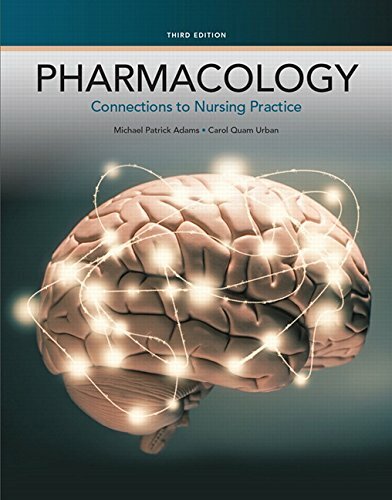 Pharmacology: Connections to Nursing Practice tightly links pharmacology to nursing practice and patient care, recognizing that for nurses, pharmacology is not an abstract academic discipline but rather a critical tool to prevent disease and promote healing and wellness. It offers unsurpassed features designed to illuminate connections between pharmacology and practice, from patient scenarios and practice applications to coverage of lifespan considerations, patient education, alternative therapies, and gender/cultural influences. Learning is simplified through the use of prototype drugs, as well as outstanding full-color illustrations. Organization by body systems (units) and diseases (chapters) places the drugs in context with how they are used therapeutically and connects pharmacology and pathophysiology to nursing care. The Third Edition covers 25 new medications approved by the FDA since the previous edition, a new chapter on Individual Variations in Drug Responses, and updated review questions that better prepare students for exams.